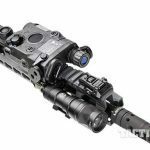 A TNVC TNV/PVS-14 Night Vision Monocular is paired with a night vision-compatible Aimpoint PRO red dot sight for low-light, no-light applications. A BCMGUNFIGHTER Mod 4 Charging Handle was added on to enhance the rifle’s functionality. The KAC Folding Micro Rear Sight is adjustable from 200 out to 600 meters. 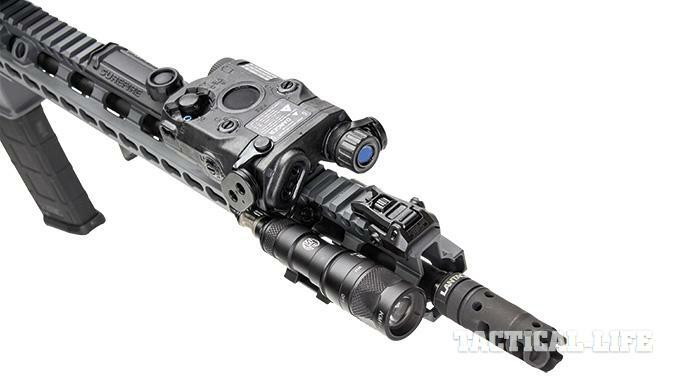 The ATPIAL-C is a civilian legal multi-function laser that can emit an IR aiming laser and illuminator viewable through a night vision device such as the PVS-14. An infrared light-capable SureFire M300V Mini Scout Light is mounted on the rail with a Noveske KeyMod Scout Light Mount. On the tip, we mounted a LANTAC DGN556B Dragon Muzzle Brake. 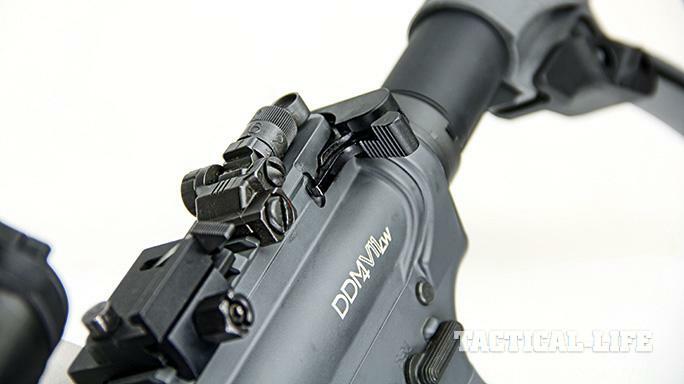 A look at the KeyMod Rail System of the Daniel Defense M4V11 LW. 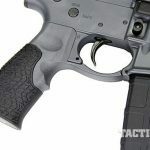 A look at the Daniel Defense Pistol Grip on the M4V11 LW. The AR-15 platform is a dime a dozen these days. Walk into most any gun shop in America and you’ll see a host of them staring back at you from the display wall. 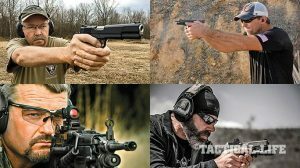 Well-stocked shops can offer you everything from a short-barreled or pistol version to a 20-inch and longer accurized model and everything in between. With so many variants available, how does dedicated AR-15 maker Daniel Defense create an AR-15 that can tempt shooters to choose one of its models in even the most competitive buyer’s market? First, you have to understand what Daniel Defense is all about. It is a dyed-in-the-wool AR-15 manufacturer headquartered in Black Creek, Ga., that designs, prototypes, builds and assembles everything it makes entirely in-house. We had the opportunity to visit their main facility and can vouch that it’s an impressive one. It even cold hammer forges its own barrels on site. Not many manufacturers can make the same claim. The attention to detail of Daniel Defense’s staff is rigorous, and the products reflect their precision. They make a habit out of sweating the small stuff. If you ask around, just about anyone will say that Daniel Defense makes a well-designed and finely crafted rifle. 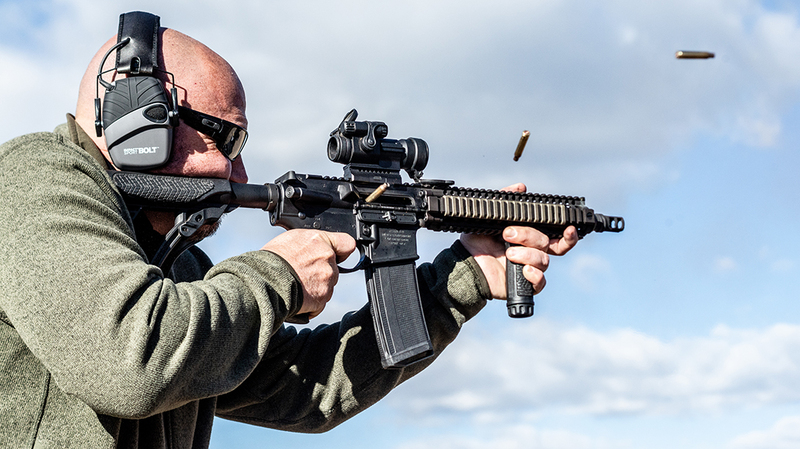 Daniel Defense keeps an ear to the rails of the ever-changing trends in the AR-15 shooting world. A few years ago, people wanted to ditch their “cheese grater” Picatinny rails for smooth-sided handguards. 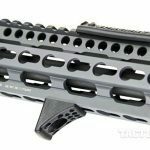 Daniel Defense created its smooth tube Modular Float Rail to address that need. 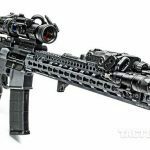 Soon after, the 300BLK caliber became the new hotness, and Daniel Defense produced a 10.3-inch pistol and an integrally suppressed fun stick — the M4ISR 300 — both chambered in 300BLK. 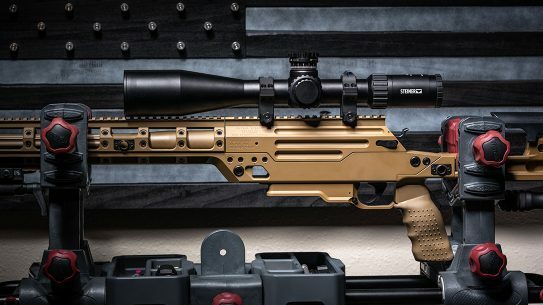 Today’s trends are moving towards the KeyMod rail interface system, long handguards and a quest for ever-lighter-weight carbines. The M4V11 LW was developed to address those wants and needs. While the M4V11 is available in both a mid-length gas system, 16-inch Government and 16-inch Lightweight profile as well as a rifle-length gas system, 18-inch S2W (heavy) profile, we chose the lightweight version to help us set up an all-purpose run-and-gun carbine. We also selected the Daniel Defense Tornado color because, apparently, gray is the new black this season (all 50 shades of it). When we first picked up the M4V11 LW, we couldn’t believe how truly lightweight it is. Between its pencil-thin lightweight barrel and Daniel Defense’s SLiM rail, it’s not a mystery why. SLiM stands for Slim, Lightweight, Modular, and it’s the latest model in its popular line of handguards. The rifle feels solid and features its line of proprietary furniture as well. We’ll get into that in a moment. Let’s first take a look at the upper receiver. The upper receiver group is typical of what we have come to expect from Daniel Defense. The fit and finish are with no detectable flaws to speak of. Its Daniel Defense Tornado Cerakote finish is unblemished and coats every crevice of the upper receiver and rail, inside and out. 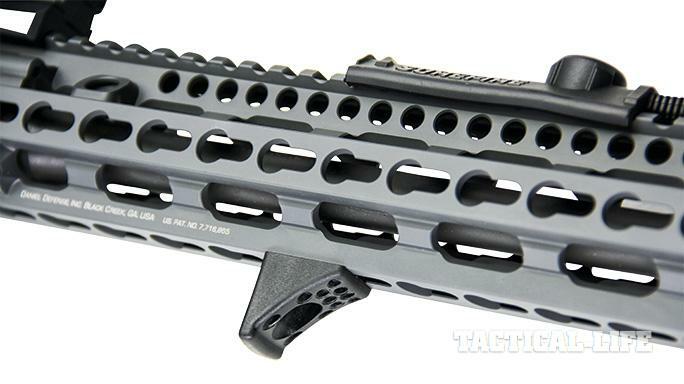 The M4V11 LW’s foundation is a railed flat-top upper receiver with M4 feed ramps CNC-machined from 7075-T6 aluminum. 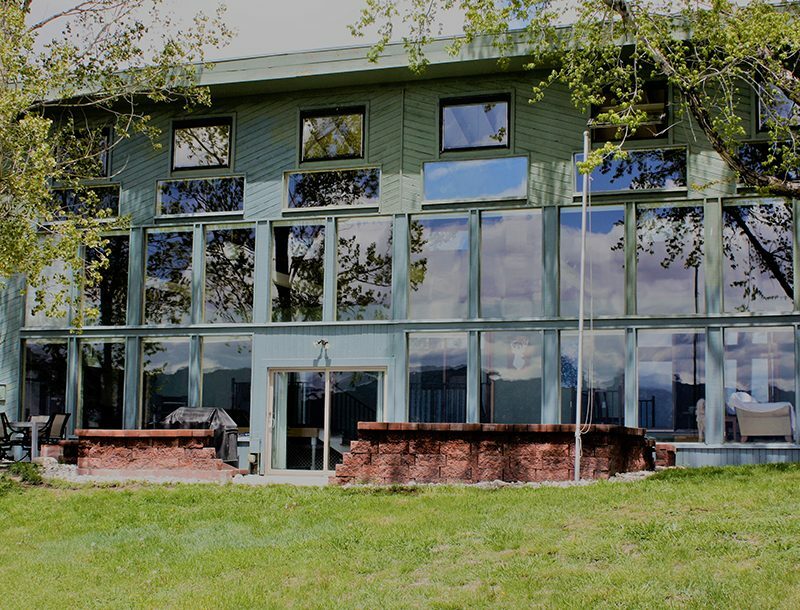 Under the Cerakote finish, it is Type III hard-coat-anodized for corrosion resistance. It also features laser-etched numbered indexing marks along the length of its top rail for repeatable accessory placement and a caliber pictogram along with its model designation on the left side of the upper. At the heart of the system is Daniel Defense’s lightweight-profile chrome-moly Vanadium steel, cold hammer forged barrel and full-auto profile bolt carrier group (BCG). The cold hammer forging is important, because this process produces barrels with the longest life and greatest accuracy. It is chrome-lined for durability and easier cleaning, and features a 1:7 twist rate, perfect for stabilizing a wide range of both 5.56x45mm and .223 Remington bullets (read more about barrel twist rates in “Twist and Shoot” on page 14). The heavy phosphate-coated barrel is also magnetic particle (MP) tested for quality assurance. Laser etched with a “DD” logo, the BCG is also MP tested and chrome-lined, and has an appropriately staked gas key. These are all signatures of a properly outfitted AR-15. 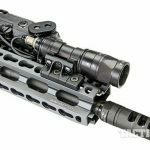 Mated to the upper receiver is a free-float 15-inch SLiM rail that covers nearly the entire length of the 16-inch barrel. It is covered stem to stern in KeyMod attachment points on three sides with the top’s entire length in uninterrupted Picatinny rail. Some may lament the lack of KeyMod at the 45-degree angles, but it didn’t affect our build at all. Quick-detach sling-swivel attachment points are built into the rail on both the left and right side at the 1- and 11-o’clock positions. Weighing only 11.2 ounces, the SLiM rail is light and well vented due to the array of large holes that allow for rapid barrel cooling. As Swiss-cheesed as it looks, it feels extremely solid in the hand, showing no flex at all. Its long rail length provides an extended sight radius that allows for more precise shots when using iron sights. 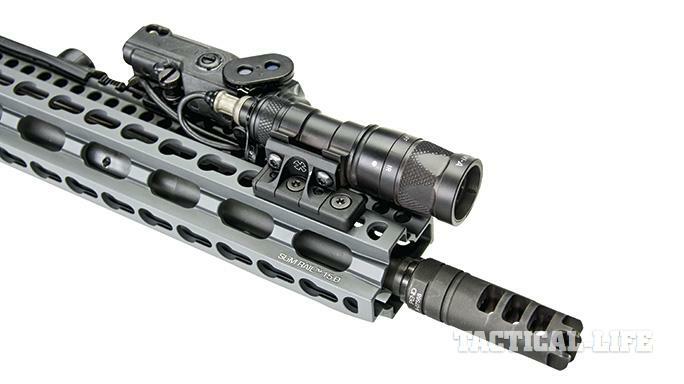 Like the upper receiver, the lower receiver is forged and CNC-machined out of the same material. It also is Type III hard-coat-anodized and completely covered in Daniel Defense Tornado Cerakote – no kidding, even inside the trigger pocket is their proprietary gray. Remember, they’re all about the details. 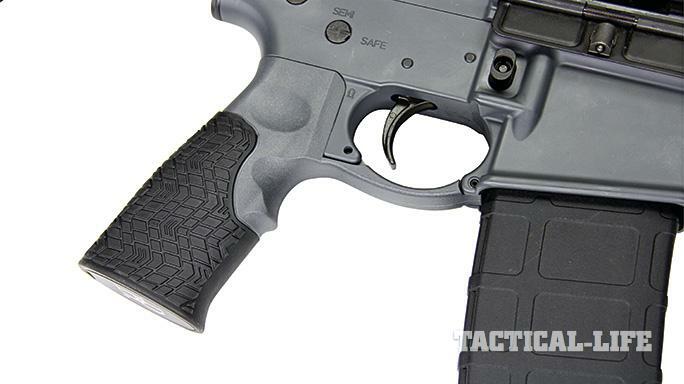 Like other Daniel Defense lowers, the M4V11 LW features an enhanced flared magazine well. It’s not at all as exaggerated as one that you would find on other lowers like, say, the Noveske Rifleworks Gen 3 Lower Receiver, but it is subtly flared internally and does help our 30-round Magpul Gen 2 MOE magazine funnel in quicker for smoother reloads. 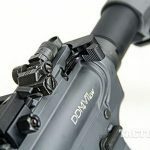 A QD-swivel attachment point is thoughtfully included at the rear of receiver where the buffer tube is attached to help mount a single-point sling (for more on carbine slings, see “Sling Up” on page 68). The trigger is of the standard USGI variety. It is single-stage and pulls better than some of the others that we have shot. It’s nothing to write home about, but does its job well. On our Lyman Trigger Pull Gauge, it averaged seven pounds, six ounces of pull over 10 readings. 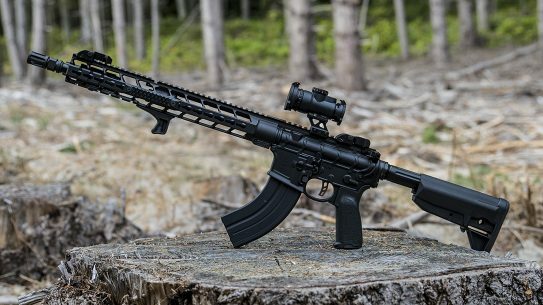 This M4V11 LW features the new Daniel Defense pistol grip, and it’s a vast improvement over the venerable A2 grip. 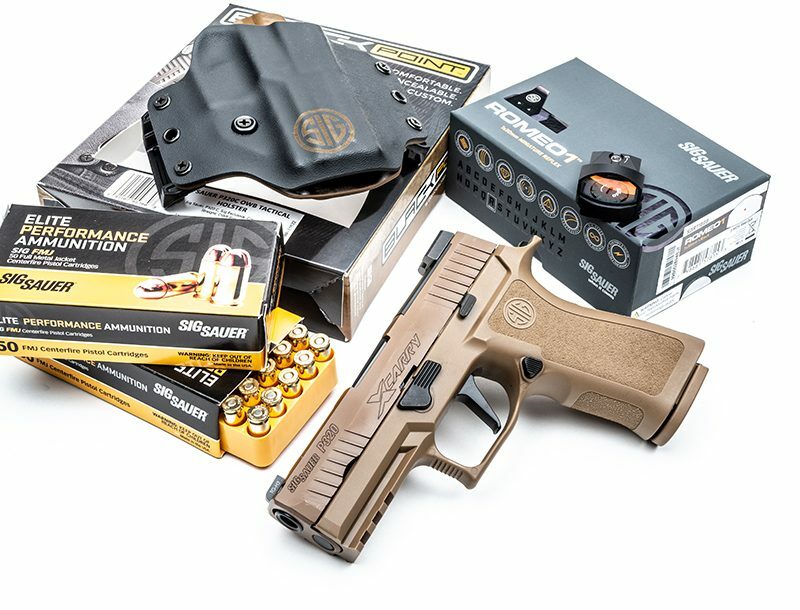 This one has a built-in oversized trigger guard that covers the gap between grip and lower receiver and is designed for ease-of-use with gloved hands. 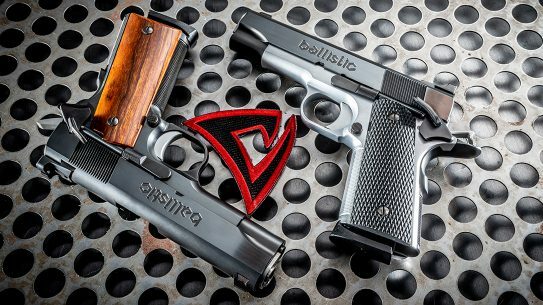 For comfortable wrist and hand positioning, the grip shares the natural angle of 1911-style pistols that so many shooters enjoy. A grippy, rubber soft-touch overmolding section enhances wet or dry grip for the palm and lower two fingers while allowing the thumb, trigger and middle fingers free movement. 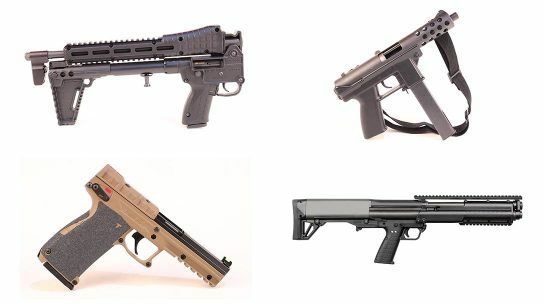 A heavyweight buffer, six-position 7075-T6 aluminum buffer tube and a Daniel Defense Collapsible Buttstock complete the lower receiver group. A relatively new item for Daniel Defense is this adjustable buttstock. Depending on whom you ask, it’s a toss-up in the looks department. It is made out of a blend of glass-infused polymers and topped off with soft-touch rubber overmolding on both sides where the cheek meets the stock. Bearded shooters can rest at ease knowing that the rubberized surfaces do not interfere with their lady ticklers. The stock hugs the Mil-spec-sized buffer tube tightly and locks in place to give very little forward or lateral play. The friction-lock release is pushed in towards the rear, not upward like most other buttstocks. This release action does take some getting used to. We kept pushing it the wrong way. The buttstock is user-configurable and includes two different buttpads. Two other versions are available: the first with a thicker convex shape that measures about 0.8-inches thick, and another 0.5-inch thick buttpad with a thinner concave shape. 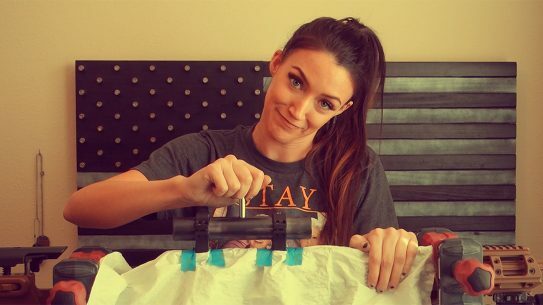 Or you could opt to not run one at all to help shorten the length of pull. 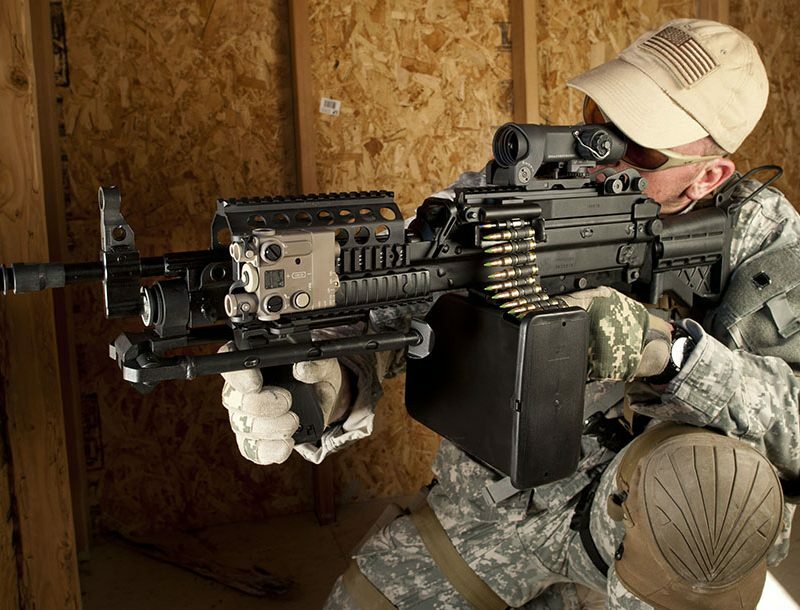 For two- or three-point sling users, both sides of the buttstock are fitted with limited-rotation QD-swivel attachment points. 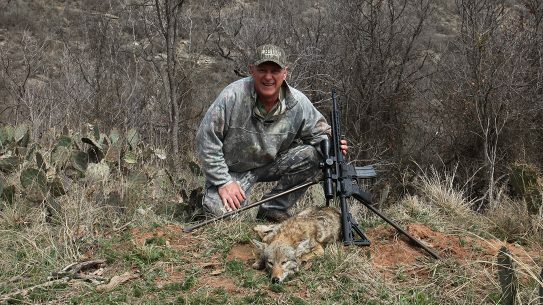 There are plenty of reasons for you to select a lightweight carbine over a heavier one, but two come to mind immediately. First, the lighter weight reduces fatigue while out on the range. Less fatigue results in longer stamina, which increases our effective operational time. The other reason is that the lighter weight helps offset the heft of all the accessories we want to throw on the rifle. We enhanced the basic controls by installing a BCMGUNFIGHTER Charging Handle that has a medium-sized Mod 4 latch. This charging handle allowed us to rack the bolt back with less effort. We also attached a Knight’s Armament Company (KAC) KeyMod handstop under the handguard to provide a tangible reference point for us to consistently place our support hand while shooting. We also attached a Fortis KeyMod QD Sling Mount to the SLiM rail for an additional sling mounting point. Because the M4V11 LW doesn’t come with iron sights, we installed our own. Up front we added a Magpul MBUS Pro Sight with a KAC Folding Micro Rear Sight out back. The rear sight is adjustable from 200 out to 600 meters. 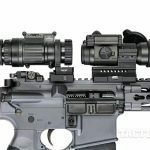 Optic-wise, we went with a night vision-compatible Aimpoint PRO red dot sight that comes with its own quick-release mount and can be powered on continuously for three years before the battery is done. We took this package to an all-day range outing that continued into the wee hours of the night. To help guide us through the dark, we outfitted the carbine with a white and infrared (IR) light selectable SureFire M300V Mini Scout Light. A Noveske KeyMod Scout Light Mount attaches the M300V to the SLiM rail, holding the light securely and close to the rail. For easier access to the power switch, we placed an SR07 Remote Dual Switch on the top rail. The SR-series of power switches allow for both momentary and constant-on options. 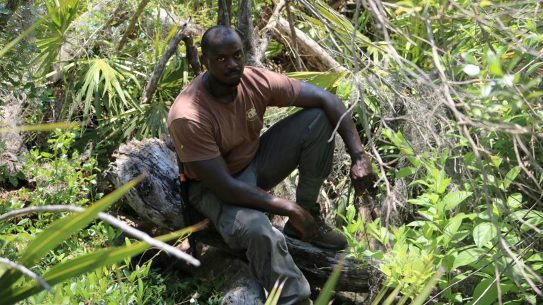 With our rifle properly outfitted to see in the dark, we should be too. We sought out the expertise of Tactical Night Vision Company (TNVC) to outfit us for some low-light, no-light shooting. We mounted a TNVC TNV/PVS-14 Night Vision Monocular to the rifle with the help of a TNVC TM14 Adapter Ring that is in turn mounted to an Aimpoint Twist Mount Base. 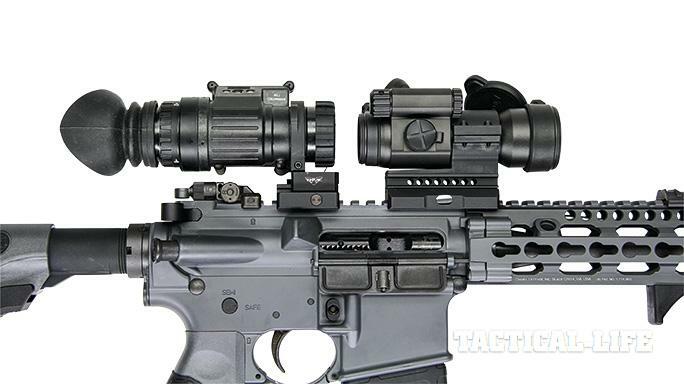 This allows the PVS-14 monocular to be quickly added and removed from the rifle. The TNVC TNV/PVS-14 is a third-generation auto-gated night vision monocular that allows the user to see in almost complete darkness. We installed an L3/Insight ATPIAL-C Class1/3R IR Laser on the top rail to help facilitate nighttime aiming. The ATPIAL-C is a civilian legal version of the military AN/PEQ-15 laser-aiming device. This unit contains a multifunction laser that can emit an IR aiming laser and illuminator only viewable through a night vision device such as the PVS-14. It has a red visible aiming laser that is viewable to the naked eye as well. When paired up with the PVS-14, the two devices make a most capable nighttime shooting package. To help improve recoil management and muzzle rise, we replaced the standard stainless steel, salt-bath nitride-finished Daniel Defense Flash Suppressor with a LANTAC DGN556B Dragon Muzzle Brake. Admittedly, this brake is not the best to use in conjunction with the aforementioned night vision equipment at night, but most of our shoot was during the day, and we wanted to see the capabilities of this brake. Obviously night vision devices work better with dedicated flash suppressors. With the M4V11 LW equipped, we were ready to hit the range. The rifle is well balanced, and even with the extra gear on it, the weight was more than manageable. 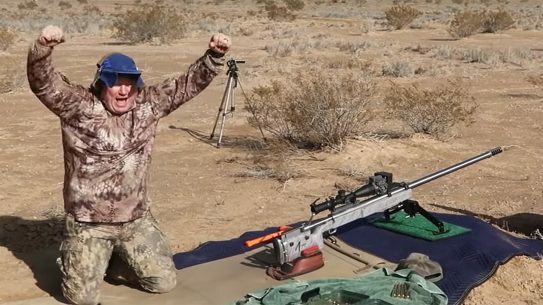 Luckily, we had more than one example of the M4V11 LW on hand during the session so we were able to shoot both, a stock version and our featured rifle, back to back, for comparison. It’s said that Daniel Defense’s gas ports are a bit larger than most. 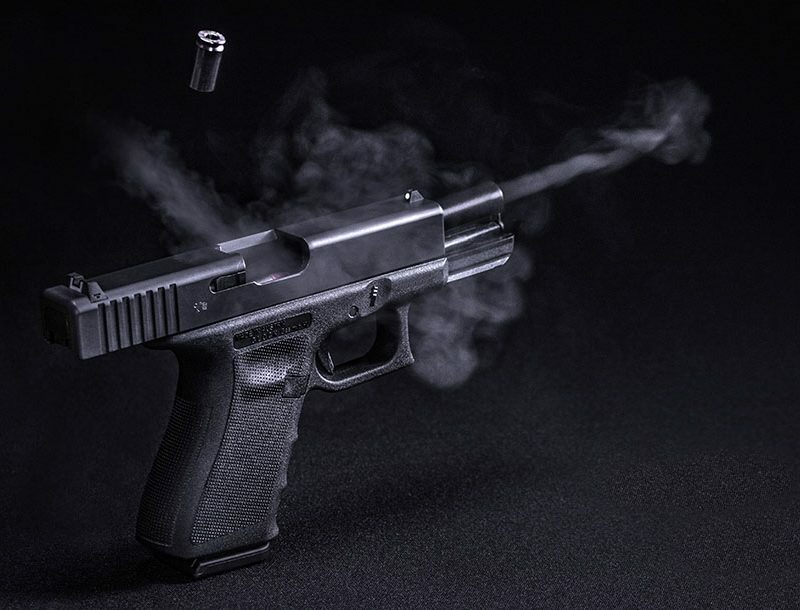 This results in better reliability, especially when shooting lower-powered ammunition, but it also means that it can be a little harsher to shoot when feeding it “full powered” rounds. 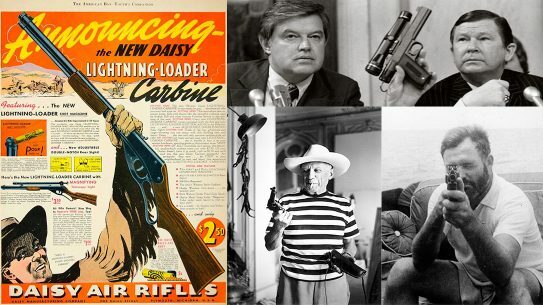 We used 55 grain, 5.56x45mm caliber Federal XM193, which we have found to be hotter than others. 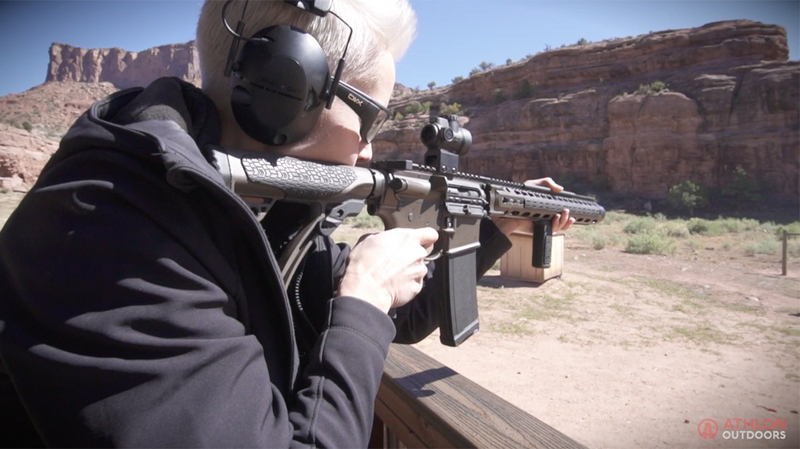 When shot side-by-side with a completely unmodified M4V11 LW, the recoil impulse was noticeably sharper than the one equipped with the LANTAC Dragon brake. The brake did make the rifle louder and less pleasant to stand near when being fired, but that blast must be diverted somewhere. 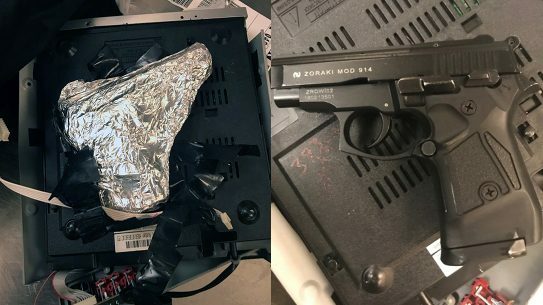 From behind the gun, however, the brake was an appreciated mod. It helped us hit more shots accurately and quickly at an 8-inch steel target at 50 yards. The rifle handled well during our run-and-gun exercises. Shooters can use the SLiM’s 15-inch-long rail space to have their support hand extended out closer to the muzzle end. We did just that and found that the lack of Picatinny on the side and bottom of the rail makes it feel small in the hand, allowing us to grip the front tighter to drive the gun more precisely from target to target. One gripe we do have with the rail is that the holes that run in “the gutter” along the sides of the entire rail are large enough for one’s fingertip to get through and inadvertently touch the barrel. Let’s just say that one of our testers (read: yours truly) had a boo-boo that day (easily treated with a Hello Kitty Band Aid). 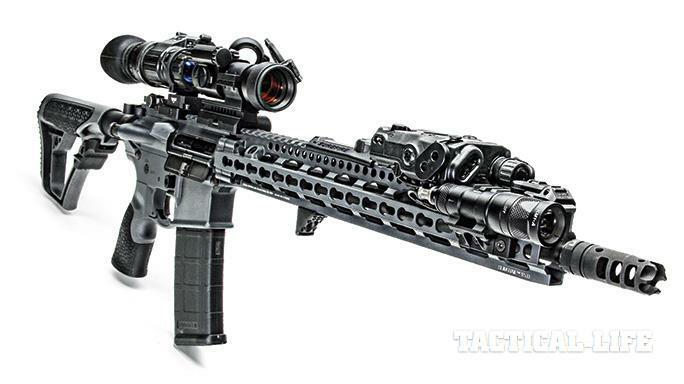 The lightweight-profiled barrel did heat up very quickly. After going through three fully loaded magazines, we could feel the heat radiate from the barrel into the rail and surrounding air. If you plan on shooting a lot, quickly, you might want to wear a glove on your support hand. The group sizes did spread some but not to the point you wouldn’t be hitting minute-of-man. The Aimpoint provided a precise, two minute-of-angle red dot that got us quickly on target. With no eye relief to worry about, the optic consistently presented the dot in front of the target each and every time, and field of view was unrestricted when shooting with both eyes open. The 1911-angle grip worked well, although we didn’t notice much of a difference when compared to an A2 or Ergo grip. The rubberized portion did help, however, especially with our sweaty hands. 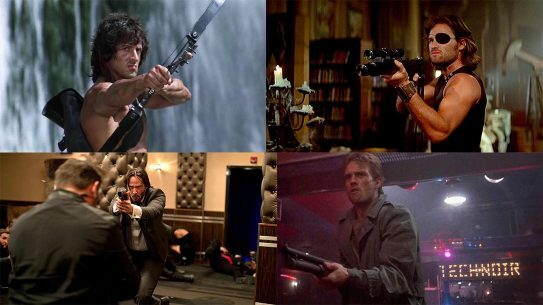 The buttstock, though, is surprisingly comfortable to use. There is usually not much to say about the union of cheek to stock, unless you’re of the Sasquatch variety. Its rubberized patches add a tiny bit of cushion and some grip to the stock that is not seen on others. The trigger pull is consistent and smooth for a stock USGI-style trigger. Its reset is clearly felt and heard. Once the sun set, it was time to go nocturnal. With the PVS-14 mounted on an Ops-Core FAST Ballistic High Cut helmet, we turned on the ATPIAL-C and switched the SureFire M300V to IR mode and went to work. The intricacies of shooting at night are enough to fill their own article, so we won’t get into that too much. Suffice it to say, it’s something everyone should try at some point. We engaged steel targets from 25 to 100 yards so precisely and easily that it was borderline scary. It boiled down to a simple matter of point, shoot and wait for the “ding.” Looking through a PVS-14 is a lesson in tunnel vision, however. It’s great to be able to see so clearly in almost complete darkness, but looking through a tube cuts your field of view down immensely, so tripping over a rock or rolling your ankle in a rut is a concern. Overall, the M4V11 LW serves its purpose well. It addresses the current trends of AR-15 enthusiasts by melding the need for a lightweight package, long rail system and KeyMod capabilities. It can chew through most any ammo you want to feed it without batting an eye, and is fitted with the creature comforts that most shooters will enjoy. It’s a well-made rifle by a company that does not know how to cut corners. 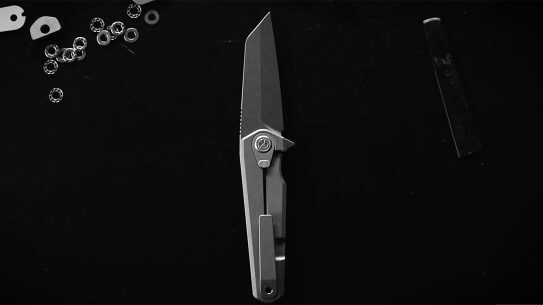 The experts at Daniel Defense inspect every component, and as a result, the build quality is top-notch. If you’re searching for a light fighter, you might want to take a good hard look at this carbine. Regardless of which version M4V11 you choose, we’re confident that it will fit the bill. For more information on the M4V11 LW, please visit DanielDefense.com.